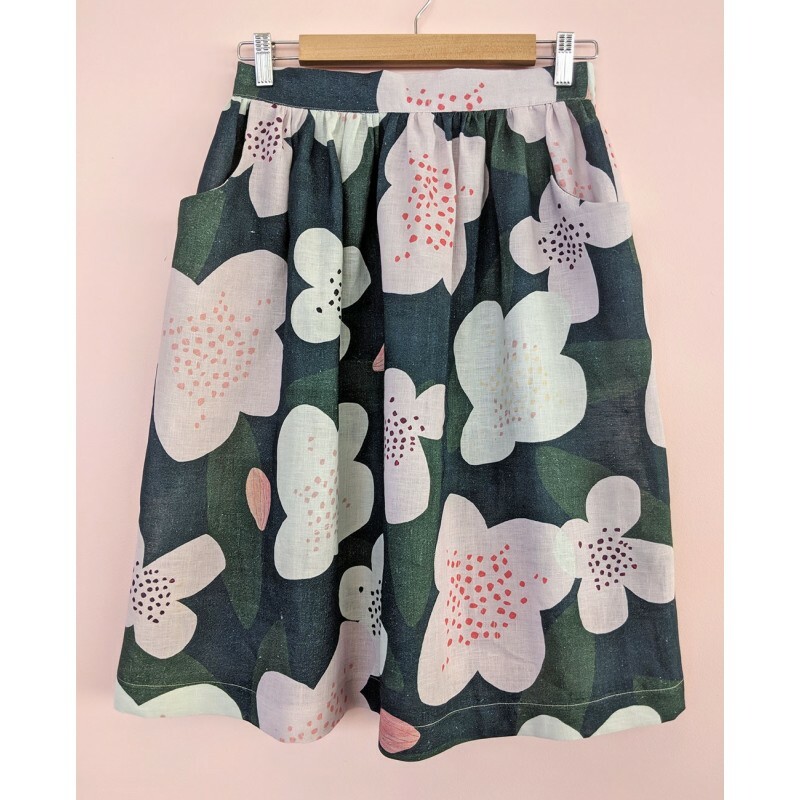 This bright 100% linen skirt is bound to put a smile on your face. It features a flattering waistband with gathered elasticated back, side pockets (woo hoo!) and is designed to sit just below the knee. 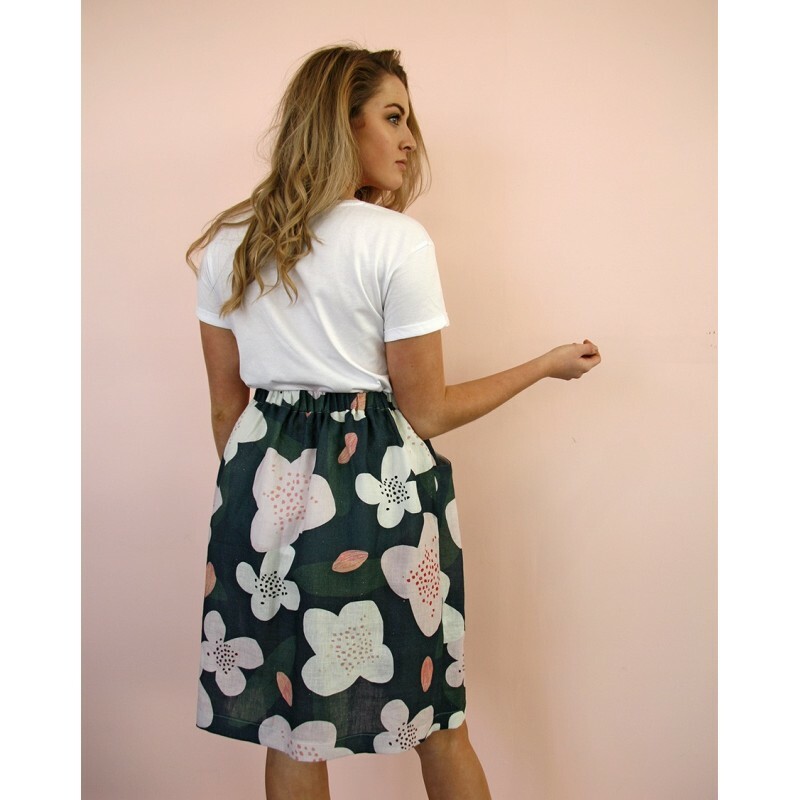 The gorgeous Australian designed print contains the perfect imperfections and flecks of natural linen fabric, with each one slightly unique! Made to order: Please allow 5-7 Days for shipping.